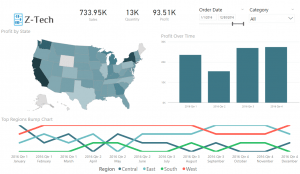 In this Power BI tutorial we’ll go over the steps to create bump charts, which are a visually appealing way to view a rank over time. 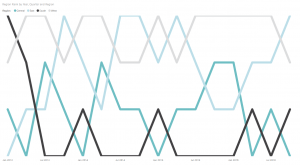 Although not native to Power BI, bump charts can be created using the RANKX function in DAX in a line chart and with a few tricks up our sleeve. For this example, I want to know which ‘Region’ ranks the highest the highest in a given time period in total sales. Now that our bump chart is right-side-up we can do two more things: hide the Y axis and make the stroke size larger. 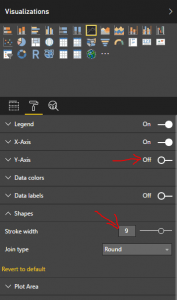 In the formatting pane, switch the Y axis to “off” and in the Shapes menu, change the stroke width to a larger number to make the lines stand out more. We now have a decent-looking bump chart! We can now edit the colors if desired and add to a report for some deeper insights! Hope this helped you out on your quest to bump chart-dom! 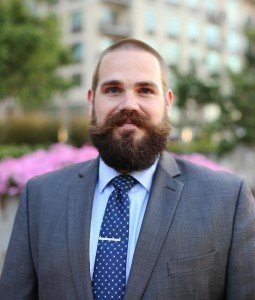 If you have any questions about how Power BI can get you data insights fast, reach out to us today!